Hydrogen Peroxide is one of the most versatile and well rounded compounds that is used in a variety of products and services. It’s uses span from cosmetics and local antiseptics in hospitals to low cost household carpet cleaning. In 5 easy to follow steps, I’m going to show you how to add Hydrogen Peroxide to other household products to create a superb homemade carpet cleaning solution that is both low cost and super effective. Cleaning a dirty carpet can be such a hassle. Depending on the source and type of dirt, removing it can be very difficult. Despite constant sweat inducing scrubbing, it seems that all this effort just doesn’t do the job of removing the stains. Not to mention, the heavy and thick fibers used in to make carpet just adds more insult to injury. Thankfully, with these 5 simple steps, you can clean your dirty carpets with minimal effort and using only a few cheap and safe products. The materials you will need are as follows: White Vinegar (distilled), Baking Soda, Hydrogen Peroxide and of course, a scrubbing brush. The first thing that you need to do is remove any physical debris that may hamper the whole cleaning effort. Materials such as pieces of food, liquids and other lumps must be removed first. You can do this by picking them up manually one by one, considering they are solid, or be scraping if they are more fluid. The next step is to sprinkle baking soda on the place or area where the stain is situated. 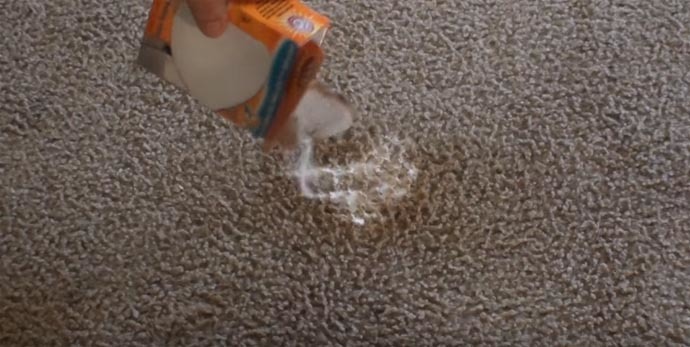 If you have enough baking soda, you can sprinkle it on the entire carpet in case there are small stains that are not that visible. No need to worry about having dermatitis or any other skin conditions as baking soda is safe for the skin. 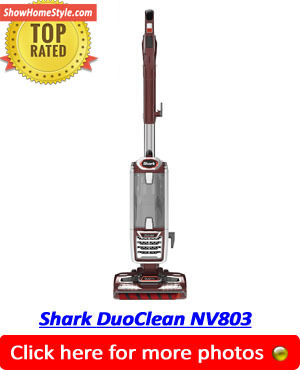 The method of using a Vinegar and Baking Soda carpet cleaner is your first option. Cleaning carpet with hydrogen peroxide is an optional step for stubborn stains. For easier dispensing or application, make sure that the distilled vinegar is placed inside a spray bottle. Once done, spray the area where the baking soda is sprinkled. Spray an ample amount of vinegar to allow enhanced reaction with baking soda. Wait for it to soak in for 30 minutes on the carpet. For stubborn stains, such as blood or paint, simply relying on the reaction of baking soda and vinegar just does not cut it. 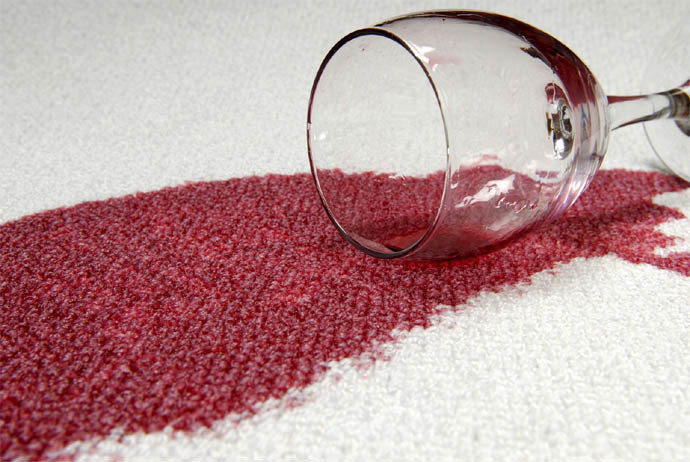 In this case, you need the help of a hydrogen peroxide carpet cleaner to really blitz the stain. To do this, you just need to spray the hydrogen peroxide on the stained area. Make sure to wear gloves as Hydrogen Peroxide can have an effect on the skin. Constant exposure can lead to acute dermatitis. You’ll also need a top rated steam iron and cloth to apply heat to a stubborn carpet stain. Whether you applied baking soda and vinegar or just simply made use of hydrogen peroxide, the next step is to do a gentle brushing of the stained area. Because these components are highly effective, it only requires a little bit of blotting and rubbing to remove the stain. Once done, you can either vacuum the spot or let it air dry. 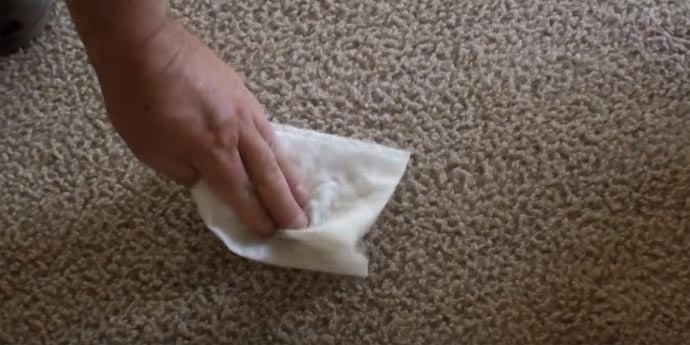 You should now have a clean and stain free carpet. Aside from their cleaning abilities, these chemicals are also effective in deodorizing your carpets. So that is how you produce a simple homemade carpet cleaning solution with Hydrogen Peroxide. These simple steps are proven to be effective and not to mention cheap in stain removal. No longer do you need those expensive and possibly harmful cleaning solutions. 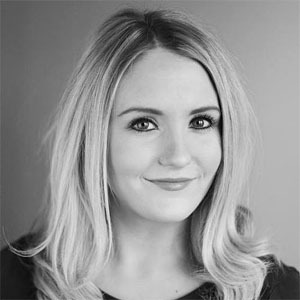 What Makes These Products So Effective? So, why are products such as Baking Soda, White Vinegar & Hydrogen Peroxide so useful for DIY cleaning around your home? What is each product made from that gives it such a good cleaning potential. Vinegar is actually acetic acid, in terms of chemical composition. To understand more, vinegar is actually ethanol or alcohol that has been fermented for a long period turning it into acid. The acidity in vinegar though is kept at a minimum, so you are assured that it is safe on the skin. Despite this, vinegar is still an excellent and effective cleaning agent. Baking Soda or Sodium Bicarbonate is another excellent cleaning agent. Most of the time, it is partnered with vinegar when cleaning. The chemical components of baking soda is alkaline which makes it effective in absorbing odors. 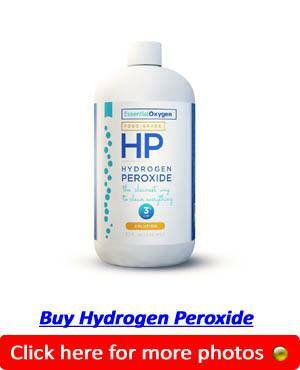 Hydrogen peroxide is a potent oxidizer and antiseptic which is effective in removing stubborn stains even without the aid of other chemicals. Bleach is also considered an oxidizer, however, it is not used for stains on carpet as it would remove the colors as well due to its potency. You might be wondering, will Hydrogen Peroxide bleach carpet? Well, consequently Baking Soda, Hydrogen Peroxide and Vinegar do not discolor or affect the overall texture of the carpet which makes them a good stain cleaning solution. Visit Show Home Style for more tips and reviews for keeping your home beautiful.